This fireman charger cable holder will take charge of your cable management! 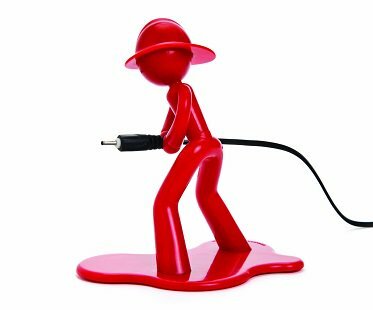 Use him to prevent your wires from falling and to brighten up your work space. You'll never have to rummage under the desk for wires again with this handy guy!